Have you ever imagine what it would sound like when you have a veteran female musician on a 21st century afro hip hop beat with a promising new school female singer? Yes! Welcome to the future because that is exactly what the proudly indigenous Nigeria female singer “OYINKANSOLA” has brought to the fore front of the music table. An exclusive and epic collaboration that bridges the gap between the young and old with a synergy of old school into the new school music tilted TILL MORNING featuring the legendary Waka Fuji music pioneer “Queen Salawa Abeni”. It is Dope! Classic! 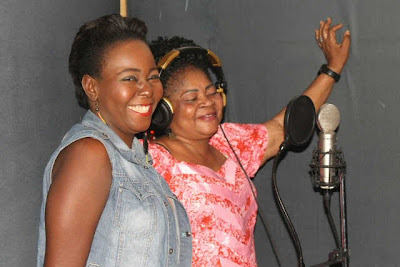 And somewhat of Historic and milestone for Oyinkansola, who recently lost out on the NEA Award for the Most promising female act for the year 2013, having been nominated and also a dramatic and scintillating return by the veteran Waka Fuji originator “Queen Salawa Abeni” after a long silent.